Books by Sharon – SHARON A. BRAY, Ed.D. Translating emotional upheavals into words can help to heal the body, mind, and soul. Sharon Bray’s masterful book is the perfect example. 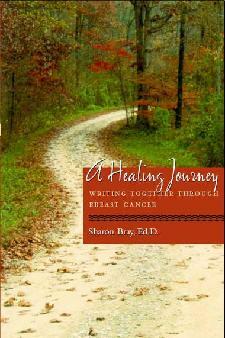 … The Healing Journey describes Bray’s profound experiences with an amazing group of women dealing with the diagnosis and treatment of breast cancer… Anyone touched by cancer will cherish the insights from this book. Writing, Sharon Bray tells us,.is a kind of prayer. A prayer in which we don’t ask for anything, except to know our own experience and to make meaning of it…Thank you for this wise and useful book. –Ellen Bass, poet and author of The Human Line and Courage to Heal. With eloquence, clarity and wit, Sharon Bray invites us to share the fears and joys of courageous women, teaching us not only how to write, but how to live. 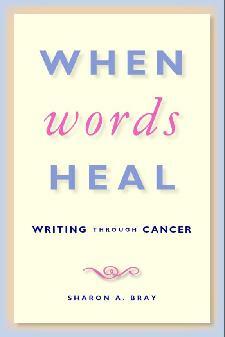 When Words Heal is a practical yet sublime resource for anyone touched by cancer or intrigued by the intersections of healing and writing. Chockablock with detailed session outlines, specific writing prompts and accessible writing samples, Bray’s book is the definitive guide to creating and nurturing a cancer writing group. –Audrey Shafer, MD, Associate Professor, Anesthesia, Stanford University School of Medicine; Director, Arts, Humanities & Medicine Program, Stanford Center for Biomedical Ethics. Sharon Bray’s innovative approach offers essential way to share and learn from stories of illness, healing and community. –-Caryn Mirriam Goldberg, PhD, Poet Laureate of Kansas, founder of Transformative Language Arts, Goddard College. 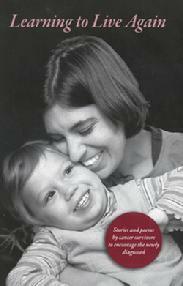 Learning to Live Again, an anthology of writing by men and women living with cancer. Sharon Bray, Ed.D. & Pat Fobair, LCSW, Eds., Stanford University School of Medicine, 2007. Funded by a grant from Ortho Biotech.